Hunting Strategies: What I Don’t Like About the Rut! I enjoy hunting the rut! I’ve hunted everyday this week and have seen deer every time out! What’s not to like about those odds? It may have something to do with where I hunt. I hunt a property that is primarily covered by oak timber. I’m sure mature bucks are seeking/chasing does as aggressively here as they are throughout most of the Midwest. Then why am I not seeing mature bucks? The answer is simple. In areas where the primary land use is agriculture crops, deer often stick to the areas with cover, even when searching/chasing does. The areas with cover are limited, therefore where deer are traveling and stand locations are easy to find! 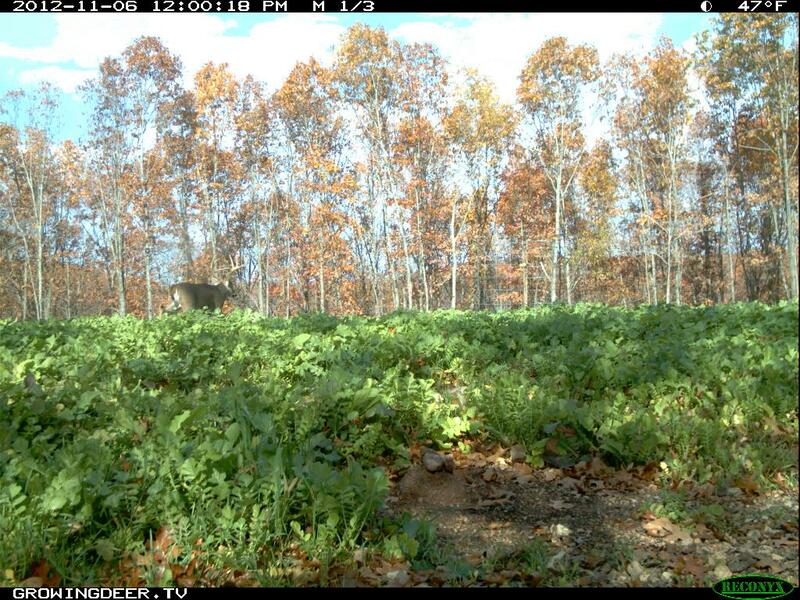 When cover is the primary habitat type, deer simply don’t have to venture into the open except to feed on forage that requires sunlight reaching the ground. If there are plenty of acorns in the timber, then deer don’t tend to use the forage plots often – especially during daylight. 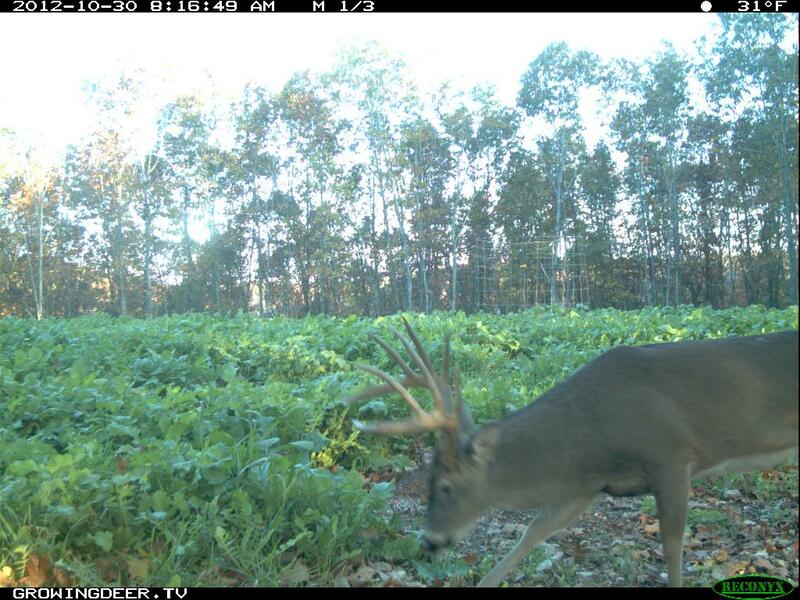 Bucks will cruise through food plots, and other openings during the rut, but not on a predictable pattern. The two pictures in this blog were from 700+ images from October 30th through November 8th. Hunting there would have produced some excitement related to seeing a mature buck only twice. Data like this is why I hunt primarily known travel corridors (such as ridge tops where the topography is steep), etc. when hunting woodland habitat. Any type of bottleneck due to cover, topography, water, etc., can be an outstanding location during the rut. Deer can also be relatively easily patterned during the late season when most acorns are gone and deer are hungry and trying to maintain/regain body weight. The late season can be a great time to pattern mature bucks, especially if there is quality forage/grain that hasn’t been hunted so much during the early season that deer associate the area with danger and only feed there at night. The rut can be a very exciting time to hunt, especially if you hunt in an area where the primary land use is ag and most of the crops have been harvested by mid October. If the land use where you hunt is primarily timber and there are quality forage/grain crops in food plots, then the best time to pattern a mature buck will probably be during the late season when the food supply is limited and easy to scout. It’s always about being able to identify and hunt the limited resource. Receptive does are the best limited resource during the rut. They are tough to pattern as they often change the portion of their range they use for 24-36 hours when they are receptive. That’s why the best odds to harvest a mature buck during the rut are to hunt cover where it is limited and travel corridors where cover is the primary land use.